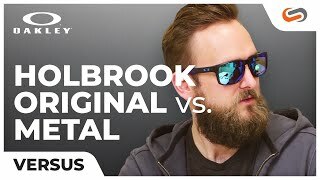 Putting a new spin on one of Oakley's best-sellers with the birth of the Oakley Holbrook Metal sunglasses. 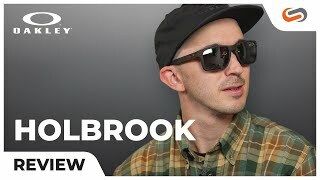 This Oakley frame is crafted into a lightweight sheet metal frame with advanced technology to take this style one step further. 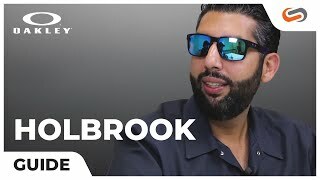 The Oakley Holbrook features a perfect blend of performance and lifestyle aesthetics with features like a Three-Point-Fit system, Hollowpoint hinges, and Unobtainium interior stems, all of which add comfort, durability and stability. Flat rectangular lenses make this frame highly Rx-able. 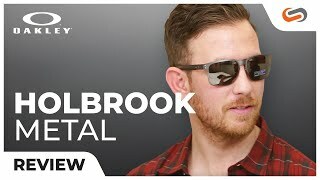 Experience optical clarity and unbeatable style in a pair of Oakley Holbrook Metal prescription sunglasses.